Arcturus is the brightest star in the constellation Bootes, 37 light years away and the fourth brightest star in the night sky, with a visual magnitude of -0.05, after Sirius, Canopus and Alpha Centauri. The constellation Bootes has the shape of a kite with the bright star Arcturus at the point of the kite where the tail is attached. Arcturus is the second brightest star visible from northern latitudes and the brightest star in the northern celestial hemisphere. The star is in the Local Interstellar Cloud. An easy way to find Arcturus is to follow the arc of the handle of the Big Dipper. It is a classic orange class K (K1) giant star with a precisely defined surface temperature of 4290 degrees Kelvin. To the eye, it shines 113 times more brightly than our Sun. Its lower temperature, however, causes it to radiate considerable energy in the infrared. When this infrared radiation is taken into account, Arcturus actually shines almost twice as brightly, releasing 215 times more radiation than our Sun. Arcturus takes its name from its nearness to the sky Bears, Ursa Major and Ursa Minor. From Arktouros or Arctophilax, "the Bear Guard" and also called "the Bear Watcher". The "Herdsman", or "driver of oxen" are other titles. Arcturus is the brightest star in the constellation of Bootes the Herdsman so it is also called Alpha Bootis. The pattern of stars in this constellation forms the shape of a kite or an ice cream cone; seeing a Herdsman driving the bears around the sky. The Arcturians, a highly advanced extraterrestrial race, that channels information to those they connect with on Earth. It is the fifth- dimensional civilization that is a prototype of Earth's future. Its energy works as an emotional, mental, and spiritual healer for humanity. It is also an energy gateway through which humans pass during death and rebirth. It functions as a way station for nonphysical consciousness to become accustomed to physicality. The Book of Knowledge: The Keys of Enoch describes it as the mid-way programming center used by the physical brotherhoods in this universe to govern the many rounds of experiments with "physicals" at this end of the galaxy. 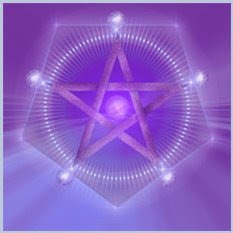 The Arcturians teach that the most fundamental ingredient for living in the fifth dimension is love. Negativity, fear and guilt must be overcome and exchanged for love and light. The Arcturians work in close connection with the ascended masters whom they call the Brotherhood of the All. They also work closely with what they refer to as the Galactic Command. The Arcturians travel the universe in their starships, which are some of the most advanced in the entire universe. One of the reasons Earth has not been attacked by warlike negative extraterrestrials has been those civilizations' fear of the advanced starships of the Arcturians. Their ships are state-of-the-art technology, far beyond anything I have mentioned so far. One of the starships circling the Earth is called the Starship Athena, after the Greek goddess. The Arcturian starships are the finest in the entire universe. They are propelled by crystals that do not come from that planet but from a planet in the Milky Way that has not been discovered by Earthly scientists. These crystals have a way of conducting light energy from the Great Central Sun. The Arcturians say that they not longer use computers because they long ago outgrew the need for them. They have other systems that are far more advanced. One section of the starship is a replication of Arcturus. It has the ability to take any crew member back to Arcturus in his etheric body. This helps to strengthen and rejuvenate crew members who are away from home for long periods of time as they traverse the universes. 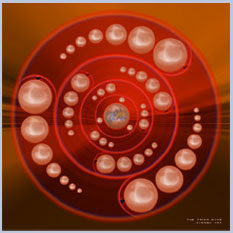 Earth's frequency is very harsh for Arcturians because of their fifth-dimensional frequency. Arcturians don't eat but are able to ingest energy. The Arcturians sleep for only a short time once a week, but for them it is a sacred time to soul travel and connect to higher realms of consciousness. Another room in the Arcturian starship has a complete data bank containing every aspect of Earth life and of life on other planets as well. Arcturians are able to ingest information by means of their telepathic abilities and through their nervous systems. This process is similar to ingesting food but it occurs on an energy level. They are able to assimilate information one hundred times faster than the average human being on Earth. An Arcturian ship has a room that strengthens the vibration of all who enter so they will not be overwhelmed by even the strongest vibrations of Planet Earth. The Arcturians are able to travel through time. They also have shuttlecraft that are global in shape which are used for activating energy points and grids on Earth that have been lying dormant for many centuries. 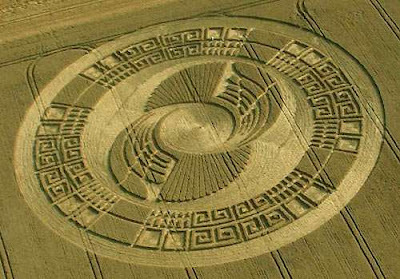 The Arcturians have been working with Earth since life first started on this planet. They have many bases on Earth, and they also have three bases on the Moon. Many of their bases on Earth are inside mountains. Arcturians can manifest physically, but they also exist in the etheric state, so physical matter is not an obstacle to them. The Arcturian society is governed by the elders, who are revered by the people of Arcturus for their advanced knowledge, wisdom, and extremely high vibrational frequencies. The higher the vibrational frequency, the closer one is to Light, or spirit, or God. The Arcturians are short in physical statue, about three or four feet tall and slender. They look very much alike, which they are happy about because it erases the pettiness of comparing looks which is so predominant to Earth society. The Arcturians are the most loving and non-judgmental beings you can possibly imagine. Their skin is a greenish color. They have very large, almond- shaped eyes. They have only three fingers. They have the ability to move objects with their minds and are totally telepathic. Their source of nourishment is an effervescent liquid that is highly vitalizing to their entire being. Their eyes are dark brown or black. Their main organ of seeing is actually their telepathic nature, not their physical eyes. Their sense of hearing transcends even their telepathic nature. They also have an ability to sense with the backs of their heads. The average life span is from three hundred fifty to four hundred years. Their highly developed spiritual nature has allowed them to avoid aging, since they have the ability to transcend time and space. They terminate life when the contract that has been arranged for their existence is finished. There is no sickness in the Arcturus star system ; it was eliminated centuries ago. On Arcturus there is no competition. Every thought, word, deed, and product is judged by its ability to raise the vibration closer to God. If it does not, it does not exist on Arcturus. A person's frequency of vibration is directly related to the mastery he has over his body, emotions, thoughts, actions, and creations. Arcturians have total mastery over these aspects of self. They have developed the ability to transcend the ego, the separative, lower, fear-based self. Success is judged only in terms of the measure of Light frequency. There are machines that constantly check the vibrational frequencies each individual on the planet is manifesting. If one particular Arcturian receives feedback that he is not meeting his own goals for evolution, then immediately the elders send teachers to help that individual. The Arcturians are here to assist humans in entering the fourth and fifth dimensions of reality and in raising their vibrational frequencies. They stand as the guardians and protectors of higher consciousness in the universe. Many souls are brought to the Arcturian starships during the dream state where they are worked on and helped. They are based in every country on the planet and, in fact, have bases all over the universe. They are here to educate humanity but have had a difficult time dealing with the government and the military, who seem to be primarily interested in military technology, not spiritual enlightenment. 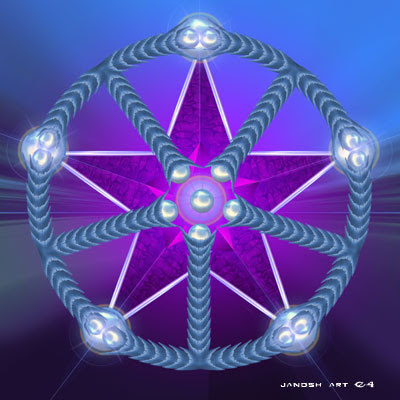 One of the most remarkable people channeling messages from the Arcturians through Digital Geometry is Janosh. Janosh is a Dutch artist who creates contemporary, geometric art and gets inspired by ancient civilizations, philosophy and geometric proportions as these appear all over the world. The entire universe is shaped according to set, geometric proportions from the alignment of the stars and the leafs on trees to architectural structures and the human body. Because our cells are geometrically structured too, focusing on geometric shapes has a profound effect. And, as Greek philosopher Plato stated: Geometry will draw the soul towards the truth. With his art and accompanying multimedia presentations, Janosh wants to inspire people to discover their power and follow their passion in order to turn dreams into actions and actively determine the course of their life. 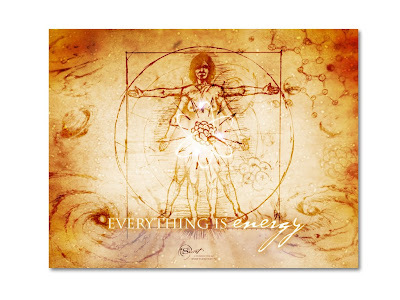 Every person is energy, just like the world around us. By acknowledging how you can deal with your thoughts, the words you speak, your fears and doubts, you will learn how to transform negative energy into positive energy. Your intentions influence your own life and your immediate surroundings. By dealing with your thoughts more consciously you will create endless possibilities to actively direct your life. Changes don’t always come easy, but it is in fact a very positive process. When we become more aware of the fact that we have created everything that happens to us ourselves, we can change this process and live our lives the way we want to. It is so much easier than we think. Thank you for reminding me. My heart tells that this is the truth you are writing, at least for me. In Lak'Ech, Sakari.